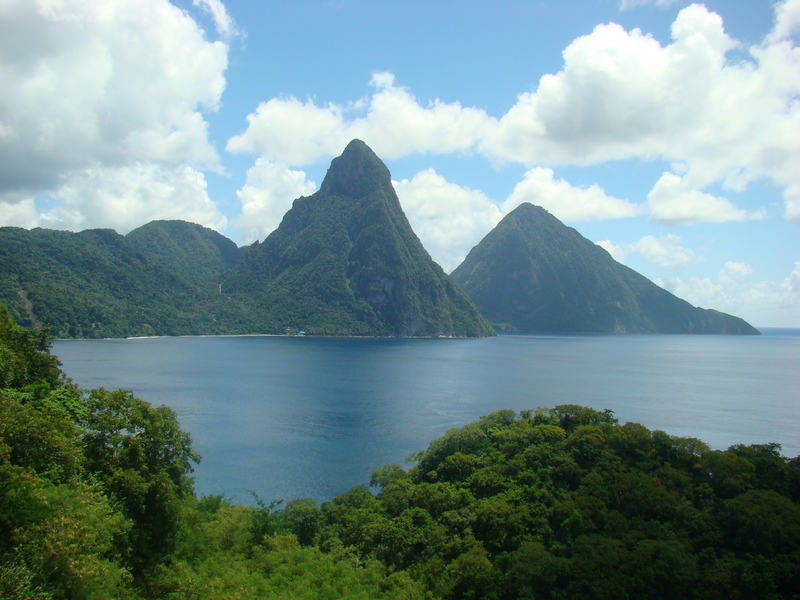 St. Lucia – Simply Beautiful – such a fitting tagline for this beautiful Caribbean island. The rugged natural beauty of St. Lucia is the perfect backdrop for romance and no wonder that clients seeking the perfect destination for their Destination Wedding or Honeymoon pick St. Lucia. Also given the nickname “The Caribbean’s Hawaii” because of the famous volcano twin peaks, whale watching sites, sea turtles, eco adventure tours, flora and so much more. This is part of one my focus on St Lucia Honeymoons – there are so many resort options I felt that needed to be in a separate blog post to follow. 1.Go Diving or Deep Sea Fishing – with the Caribbean Sea on one side and the Atlantic Ocean on the other, sailors, divers and fishermen fall in love with St. Lucia. Here it is possible to charter any form of sea-going vessel anywhere on the island. Described as “an angler’s dream come true” several species of big game fish make their home in the waters off St. Lucia. 2. Go Ziplining – St. Lucia is rich in natural beauty- Created from an ancient underwater volcano, its twin peaks the Pitons, are covered with vegetation and the mountainous rainforests are a perfect back drop for ziplining. 3. Visit Sulphur Springs and get a Mud Bath – Soufriere Volcano is best known as Sulphur Springs, and the world’s only drive-in volcano. The iconic volcano is also an outdoor spa, where the atmosphere is airy, the warm, flowing stream is silky and rejuvenating, the black mineral rich mud is sought after for its healing powers of any form of dermatitis.